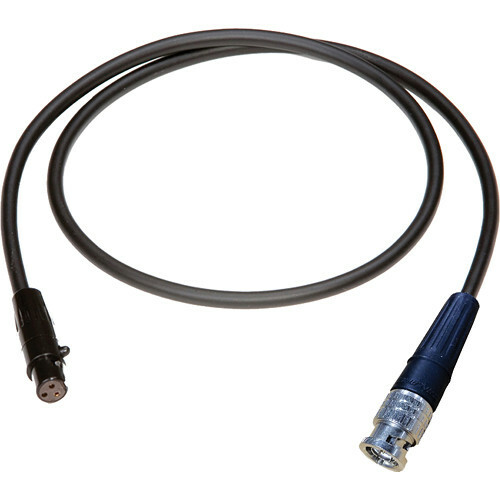 The Cable Techniques CT-PTC-318 Timecode In Cable (18") from Redding Audio is a Canare L-2.5CFB cable that is designed for use with the Sound Devices 552 mixer. Box Dimensions (LxWxH) 5.0 x 4.6 x 0.2"
CT-PTC-318 Timecode In Cable (18") is rated 5.0 out of 5 by 1. Rated 5 out of 5 by Andrew from Just what the doctor ordered If you need to slam time code to your Sound Devices 552 your going to need this in your kit.